Mathew Hartley has been with Benchmark Business Sales & Valuations since 2013, heading up the specialised division of Supermarkets and Convenience stores. In this time, he has secured a reputation of the ‘go to man’ within this industry, from both Vendors and Buyers. Mathew has now established a team of Supermarket Brokers in Sydney, Melbourne, Adelaide, Brisbane, Gold Coast and surrounding areas. He has ensured that each Broker has vast experience within the industry. Mathew is dedicated to time spent with his team with assisting, training and mentoring. 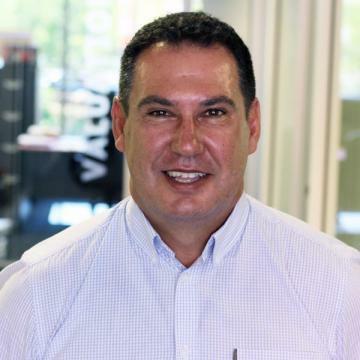 As a senior broker, Mathew has a wealth of experience in the industry of Supermarkets, with having worked in the corporate world as a Regional Manager, an Area manager with Metcash to owning his own IGA and Supa IGA stores. With over 35 years of experience in this industry, he has built strong relationships with other professionals to assist in the purchase and sale of a business, from financial institutions, Solicitors, Accountants, Store Designers, and all trades associated. Mathew also offers Consultancy Services for new owners to the industry. Mathew also has business relationships with Developers for ‘Greenfield’ sites (new commercial buildings) and has gained experience in selling Commercial properties, with now having many quality Investors ‘cashed up and ready to buy’. In his spare time, Mathew enjoys spending time with family and friends, boating and fishing, playing tennis and as an avid AFL supporter he loves watching his Collingwood magpies. Well-positioned on a busy arterial road this modern, beautifully-presented IGA supermarket for sale is semi-managed and easily maintained. Average weekly sales of $91,475;; Store size of 500 m2;; Monthly rental of $16,916;; So this well-presented, low maintenance store could be a fine addition to your existing stores. Click on the FIND OUT MORE icon, call the supermarket specialist and exclusive broker, Mathew Hartley on 0400 412 593 or send an email to. mathew@benchmarkbusiness.com.au. IGA Supermarket For Sale. Brisbane South West. ‘Proud Independent Supermarket’ Located 45km South West of Brisbane’s CBD, in a picturesque rural suburb that has a ‘country town feel’. This suburb is earmarked as one of Queensland’s fastest growing areas. This unique, stylish, fully managed supermarket is awaiting an ‘Owner-Operator’ Key Points: Well-established shopping centre. Excellent presentation, low maintenance store. Experienced-trained staff in place. Major Growing rural area. IGA SUPERMARKET Located within a 30-minute drive South-West of Brisbane CBD is this well-maintained store. Currently under full management, this store is easily managed as key staff members are already in place. Or it could be a perfect opportunity for an Owner- Operator, to increase the bottom line profit. This well-presented, modern store is situated in a mid-size shopping centre, with an abundance of carparking. The centre is positioned on a main road, with plenty of passing traffic daily. Convenience store nestled amongst schools and residential homes is just waiting for a new owner to take it to the next level, with the potential to add Gold Lotto and an area already earmarked for the coffee machine to serve the early morning busy trade. ‘Enter the market of Retail and become your own Boss’ Key Points: Business Snapshot: This Business is for sale @ $375,000 + Stock. * Own Due Diligence required. Email: mathew@benchmarkbusiness.com.au. Benchmark Business Sales and Valuations. Located only a 30-minute drive south of Brisbane CBD is this well-presented store.Currently fully managed, this store is easily maintained, as key staff members are already in place.This tidy, modern store is situated on a main road with plenty of passing traffic daily.Key Points: - Well-presented, low maintenance store. Business Snapshot: - Weekly Average Sales- $52,643 Ex GST 2018 Financials. ” Dear Mathew Hartley, Four months have nearly passed since you sold our SPAR Supermarket at Evans Head and it is only now that I have found the time to write to you. It is important to Carol and I that we take the time to extend to you our gratitude for all your professionalism, patients and friendship in dealing with us in the sale of our supermarket. From the initial consultation to the final sale, you conducted yourself as a true professional in your trade. Your understanding and empathy to our sale allowed us to draw strength during what is always a testing time. You were always creative, motivated and persistent when promoting the sale and it was pleasing to see you showed the same respect for your purchaser as you did for your vendor. Wishing you all the very best in the future. ” Shane and Carol.